Black Friday 2016 is coming soon. It's a crazy time of wild promotions. You may know it from the images of chaos in America, but here in Britain it's a little bit more civilised. With the right preparation, you can get mega discounts on all your favourite brands. That's where I can help. The best Black Friday Deals for 2016 all in one place. Black Friday is a one day even when the US winter sales start. It's always the day after Thanksgiving, which this year, Black Friday is on November 25th 2016. Black Friday events have spread across the pond to the UK. Many brands love it. And more importantly, more and more people love it! If you prepare and get yourself ready for Black Friday, you can bag yourself some proper bargains. What can you expect from Black Friday 2016? Black Friday 2016 will be bigger and better than ever before. Brands have been preparing their products and offers months in advance and are going all guns blazing this year. Latest Deals is centre point of the entire Black Friday spectacle and will be on duty sharing with you the best offers for the entire 24 hours. Last year, Black Friday 2015 raked in £1.1 billion in sales in one day. This year, we're expecting a 20% increase. What Brands are doing Black Friday 2016? Here is a list of all the brands that did Black Friday deals in 2015, and will most probably be doing Black Friday deals in 2016. Last year Amazon's top Black Friday Deals included 4K HDTVs (£170 off), half price Lenovo laptops and the complete DVD collection of Mad Men. This year I'm expecting Game of Thrones, Amazon Alexa and Fire Stick and more smartphones. AO.com sells homeware appliances and for last Black Friday sold half price Bosch appliances such as food processes, cookers, Miele hoovers and Illy Espresso coffee machines. In Black Friday 2016 I'm expecting Dyson hoovers to make an appearance, 4K HD TVs and Bosch washing machines. Argos last year for Black Friday did a huge range of offers and deals including 48" Toshiba HDTVs, iPads and PS4s. This year I'm expecting the new Star Wars range of toys to be on offer, as well as new Lego sets, Nescafe Dolce Gusto coffee machines, Peppa Pig toys and Paw Patrol as well. The usual iPads, Lenovo laptops, and 4K HDTVs will be there but as a added surprise I expect some Nerf Guns this Black Friday 2016. Can you believe it? ASDA said they "banned" black friday last year, but that didn't stop them putting on some corking deals for the day. Champagne was better than half price, Baileys 1L was a tenner, and Smirnoff was on offer too. For Black Friday 2016 ASDA is likely to do the same again - not "officially" do it, as that gets them lots of PR, but to put on some massive deals for the people who venture into the shop anyway. The lady's clothes maker Atterley had a massive Black Friday presence in 2015, and for Black Friday 2016 Atterley is expected to do the same again. They did up to 60% off last year, with dresses down from £115 to just £52. Jackets, trousers, skirts and Atterley blouses were all on offer. For 2016 I'm expecting similar levels of money off deals, perhaps including some free delivery for good measure. Boots likes to go big for Black Friday and judging by last years offer, 2016 will be massive. They had Amani perfume half-price, BaByliss Curlers 25% off, Benefit Mascara heavily reduced and Remington Hair Straighteners on sale too. As well as this, and I imagine Black Friday 2016 will be the same, Oral-B tooth brushes and more make up brands will be on offer. Currys do some cracking Black Friday deals. Last year, coffee machines, Beats by Dr Dre headphones, Canon inkjet printers, Samsung 4K 60" TVs and more were all more than £100 discounted. Black Friday 2016 at Currys I'm expecting more fitness trackers such as FitBits, perhaps Apple Watches, Google Chromecasts and Amazon Firesticks to be on offer. TVs and other electricals will make their usual appearances too. Last year Debenhams went crazy on Black Friday and sales were 600% their daily average. In-store crowds were 10 times the size of a regular shopping day. So if you're going to go in Black Friday 2016, get there as soon as the doors open! Dozens of fashion brands were on offer, as well as bargains from Jamie Oliver kitchenware, Yves Saint Laurent Parfum, Kenwood mixers (rejoice GBBO fans!) and plenty of beauty deals too. Evans, the clothing brand, not the bicycle shop, had dresses and coats on offer of up to half price. This fashion label is growing in popularity and so for Black Friday 2016 Evans should be doing similar deals and discounts to keep the country happy! The community-run phone network (secretly O2) had some terrific Black Friday deals last year, and Black Friday 2016 GiffGaff won't disappoint. Samsung smartphones were slashed in price by £100 or more, including the top-of-the-range S6 models. This year I expect similar savings, so if you're looking for a new phone or coming to the end of your contract, it may be worth holding out a little. Halfords don't just do cars, don't you know! For Black Friday last year Halfords did self-balancing speedy board things at 66% off (which was THE Christmas present to have and give), half price BMX bicycles, pressure washes and tool sets. Halford's Black Friday 2016 deals to look out for will be great for Christmas gifts, especially for those impossible-t0-buy-for Dads. Maplin electronics had all those little bits you need Black Friday deals last year. For Black Friday 2016 I predict they'll be going a bit bigger with some signature deals. Last year they had 16GB Samsung SD cards, cordless phones, lights, lasers and wires on offer. This time around I think they'll have more wireless routers, drones / quadrocopters and popular headphones. M&S started early last year - cheeky - and went all fancy on us. M&S Black Friday deals included fur coats, v-neck dresses, animal print coats, champagne and wooly things. Basically, expensive things cut down a little bit cheaper. So for a taste of the good life, keep an eye out for Black Friday 2016 at M&S. I'm guessing they'll push the M&S basics range a bit more this year with the new CEO in place, and maybe some more food deals. Miss Selfridge last year had a great big party for Black Friday with little black dresses and plenty of sequins on offer. Prices were cut in half or more and for Black Friday 2016 Miss Selfridge is likely to do the same. Probably with free delivery on offer. Miss Selfridge is a great place to get your basic party needs. Morrison's is my kind of place. It's go big or go home for them when it comes to Black Friday deals. One day wasn't enough for Morrison's last year, so they did an entire week instead. Huge savings could be found including cases of wine for £20 instead of £51, perfumes and loads of food deals. This year for Black Friday 2016 I'm hoping Morrison's go even bigger. If you need to save money for your little one this year, make sure you stop at Mothercare. Mothercare Black Friday deals are excellent for the toys and expensive things. You can pick up a bargain. Last year, play tables, car seats, that wooden train set brand I can't remember the name of, ELC notebooks, singing Animal keyboards and more were on offer. For Black Friday 2016 Mothercare deals are likely to be a little more broad, perhaps with some maternity wear included. Sainsbury's also likes to go to town for Black Friday, choosing to do an entire weekend sale period rather than one day. 70% off items were available for Black Friday last year, so I imagine the same again for Black Friday 2016 at Sainsbury's. They pushed their non-food items heavily as well as their online section (it's a big part of their marketing strategy) and so coffee machines, NutriBullet, Polaroid cameras, TVs laptops and more were on offer. I think the same again will be on offer for Black Friday 2016, including more TV boxes (NOW TV?) Dyson hoovers and more. Hopefully some booze thrown in for good measure. Sainsbury's, if you're listening, Black Friday people want booze I tell you! Superdrug starts early for their Black Friday offers - again, sneaky - with electric toothbrushes, Olay creams, Elizabeth Arden formulas, and make up advent calendars all on offer during Black Friday last year. For Black Friday 2016 Superdrug is set to again start early with more make up brands available, hair straighteners and more. It's likely to start the week in the run-up to Black Friday, according to sources on the inside. Tesco focused on electricals last year on Black Friday (probably to coincide with Cyber Monday; gosh, haven't even started talking about Cyber Monday yet!). Tablets, Beats headphones, hair straighteners and mobile phones were all on special offer. Tesco Black Friday 2016 will feature large 4K HDTVs, Windows Tablets, Hair Stylers, Dyson vacuums, Amazon gizmos and gadgets galore. Make sure you pin the Tesco Black Friday page to your favourites in the run up to the event. This year, with a new CEO at the helm (with a marketing background), I think they'll do a Morrison's and do a whole week event. How big is Black Friday for retailers? There's a bit of a debate going on about Black Friday. Some experts, such as Verdict Retail, say that the sales event doesn't have an effect. That people who buy during Black Friday were going to do so anyway. John Lewis asked of Black Friday, "Should we concentrate so much on that one event?" 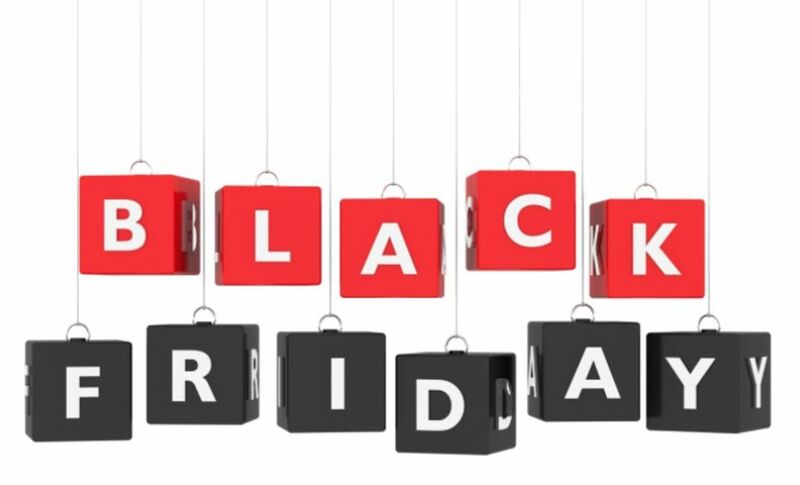 Black Friday is a day for certain retailers to solidify their positions as value for money. It doesn't work for every brand. When I think Black Friday, I don't think John Lewis. I think Tesco, Morrison's, Aldi. Money saving kings. After black friday 2015, and missing it, Asda said it's sales were down 0.4%. That's a massive amount for a company trading billions in volume. Black Friday 2016 I wouldn't be surprised if they came back to the scene. It costs more not to be a part of it. And, on the note of John Lewis, on Black Friday 2015 they made £45 million of sales via its website on the day. That's £75,000 a minute! In total, shoppers in the UK spent £3.3 billion on Black Friday 2015. £13,000 every second. What's the difference between Amazon Prime Day and Black Friday? You may remember that earlier in the year Amazon do their Prime Day. It's an event similar in style to Black Friday that gets a lot of press attention. Amazon, the clever bunch they are, figured competing for attention on Black Friday is difficult. So why not do their own? The deals on offer on Amazon Prime day are exclusive to members of Amazon Prime (which you should get because of the free delivery savings). Black Friday offers are open to all Amazon customers. What products will be on offer Black Friday 2016? Sources at various research agencies have told me imports for laptops and tablets have been growing in recent weeks. Last year, in October, they reached a peak as retailers prepared for the day. Laptop distribution was up 65% last year, with similar figures reported for 4K TVs, Xbox Ones, PS4s, Amazon Kindles and more.